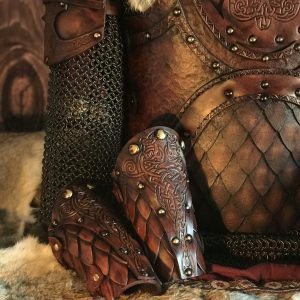 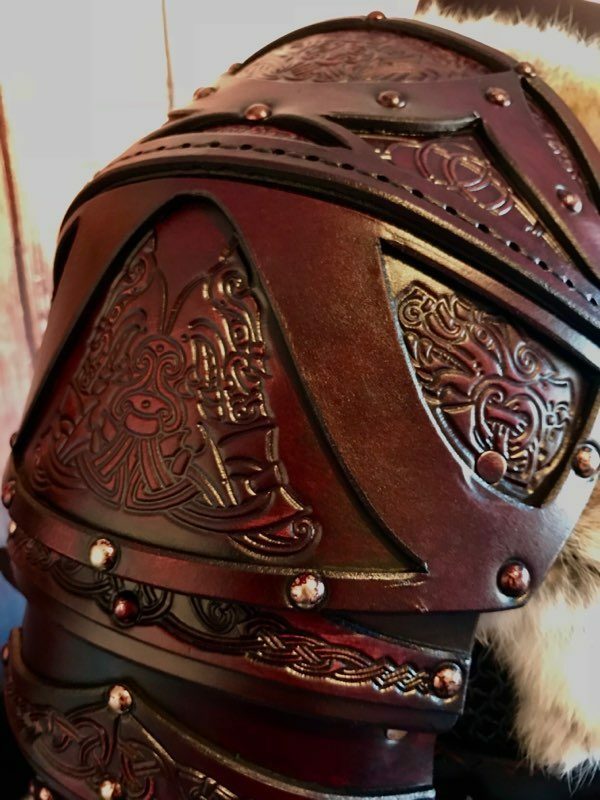 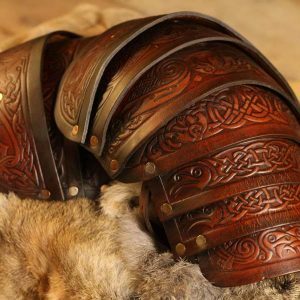 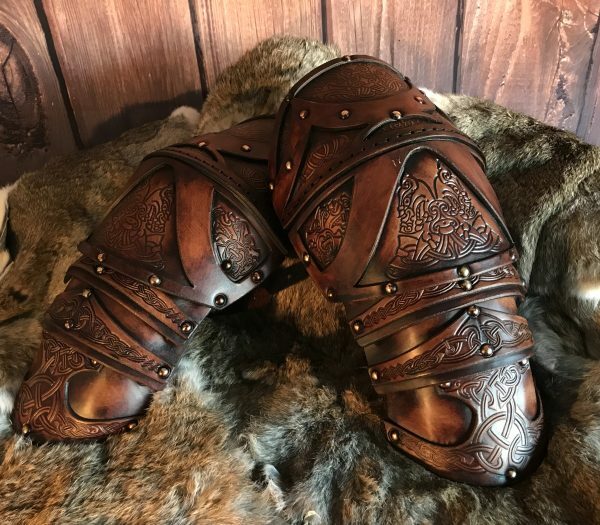 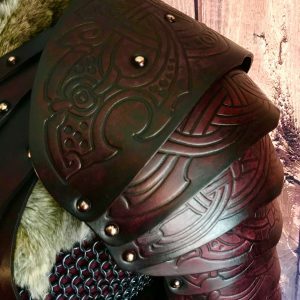 The Odinson Deluxe LARP Leather shoulder armour, designed and created by Alex Agricola, founder of Black Raven Armoury. 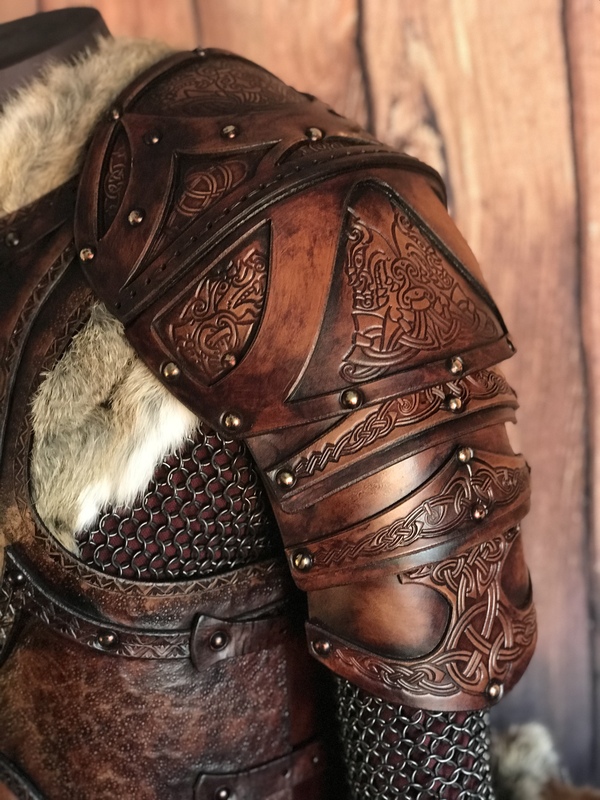 Hand made out of premium grade materials, this armour has been crafted using a combination of hand dyed, antiqued and finished 3.2-3.5mm veg tanned leather and comes ready to wear. 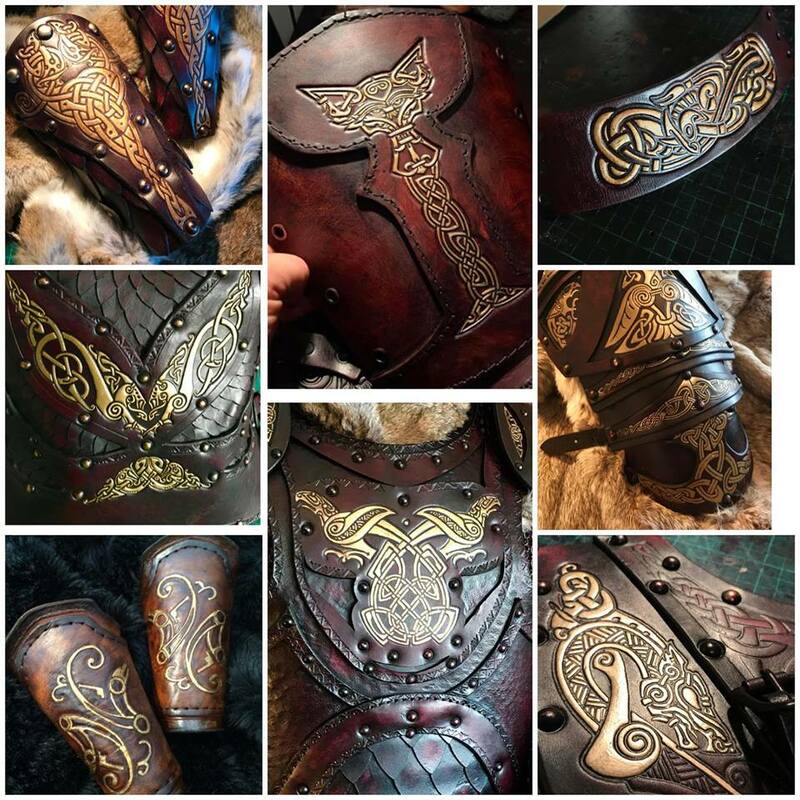 All armours come ready built and finished in the colour of your choice. 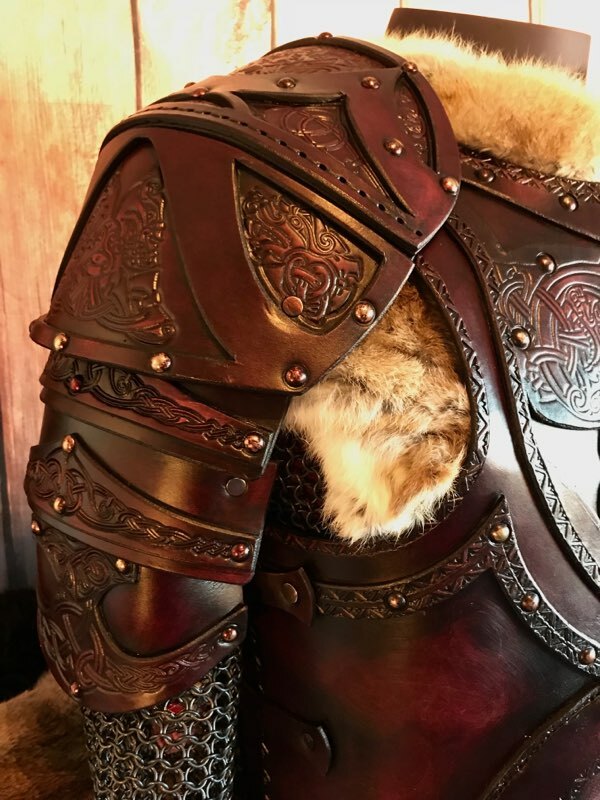 The Odinson SCA/HEMA Leather shoulder armour, designed and created by Alex Agricola, founder of Black Raven Armoury. 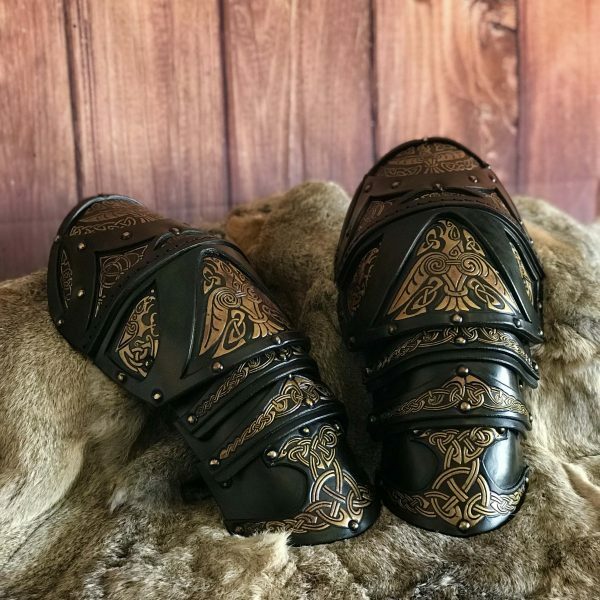 Hand made out of premium grade materials, this armour has been crafted using a combination of hand dyed, antiqued and finished 3.2-3.5mm veg tanned leather with a suede backing laminated to a minimum of 7mm and comes ready to wear.